More than ever, scientists are compelled to share relevant scientific knowledge to the public in order to address misinformation, inform decision-making, increase public support for scientific ventures, or promote widespread appreciation for science. Through accessible media production technology and social media, it is now much easier for scientists to be communicators and for the public to be receivers. In this talk, I will elaborate my experiences, strategies, and lessons in video-based science communication as the sole researcher, writer, producer, and creator of two short Physics videos: (1) Feynman's Path Integrals and (2) Relativity and the Equivalence of Reference Frames. The former was awarded the Special Prize during the 2016 Breakthrough Junior Challenge. Meanwhile, the latter video was declared the Winner of the 2017 edition of the same competition, where it bested 11,000 entries from 178 countries. This second video has accumulated over 5,000,000 views across all platforms. The talk will also detail how I created the videos, how the public received and interpreted the videos' information, as well as how scientists can use video for science communication. Hillary Diane Andales recently graduated from the Philippine Science High School Eastern Visayas Campus in Palo, Leyte. In 2017 she won the third Breakthrough Junior Challenge Prize with a popular video explaining relativity to a general audience. Next year, she will be attending the Massachusetts Institute of Technology to pursue a bachelor's degree in Physics. H. D. Andales. 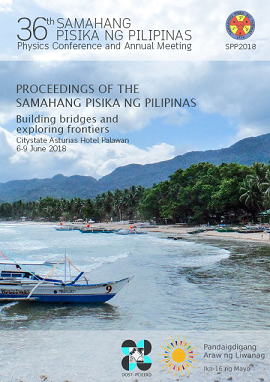 Communicating science to the public through video: Experiences and techniques from a Breakthrough Junior Challenge winner, Proceedings of the Samahang Pisika ng Pilipinas 36, SPP-2018-INV-1C-02 (2018). URL: https://paperview.spp-online.org/proceedings/article/view/SPP-2018-INV-1C-02.